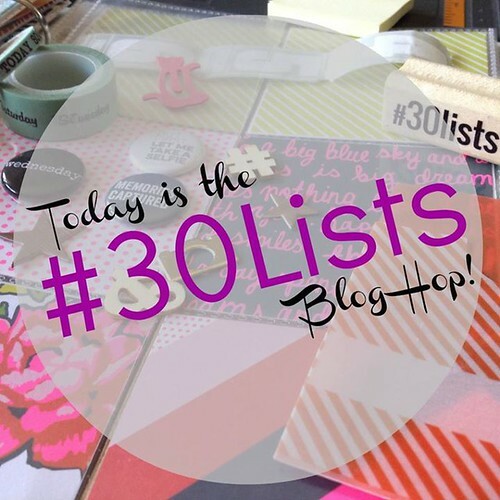 I am super duper excited to be doing September 2014 30 days of lists. So to get in the mood of listings, Amy and Kam invited us to participate in a blog hop by choosing a prompt from March 2011 lists and made the lists. I did participate way back in 2011 and it sure nice to see what my lists look like now and then. And this is what my lists looked like in 2011. I made the above list using my iPhone. The app used are Picframe for the layout and Phonto app for the text. And my photo is from my camera phone. I adjust the size of the frame to 4:3 so that I can print on 4x6 photo paper with Canon Selphy printer. 3. Create your own list — either on a post-it, digitally, art journal or however you like. 5. Link up your post so everyone can see it too! I love how you made your list on your phone! It's looks so awesome! Good luck with your reading list! I love that you included a picture with you list! I've read and loved a lot of these too--looks like you're loving a good mystery lately! I think you were alos doing lists in Sept. 2012, right? I remember you from that round. I love the layout - I like that you did it on your iPhone. That's really cool. 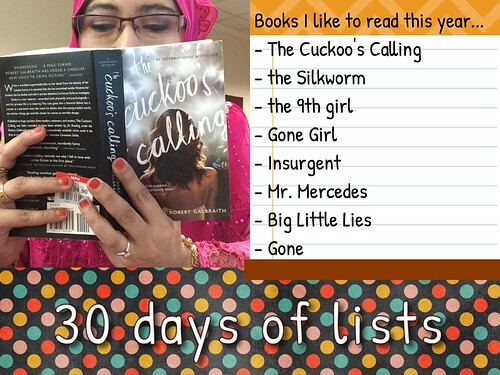 The only one I've read on that list is Insurgent. Might have to give some of the others a go.